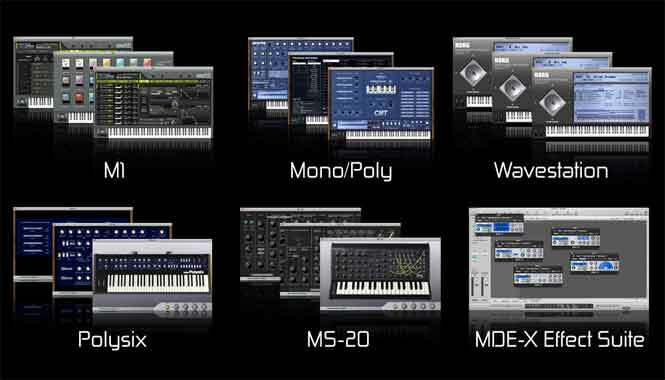 MDE-X is the exhilarating multi-effect plug-in first introduced in the Korg Legacy Collection. With the new Korg Legacy Collection – DIGITAL EDITION, the MDE-X Version 1.2 is here, and now supports RTAS plug-in format, as well as VST and Audio Units formats. Featuring a low CPU drain design, MDE-X v1.2 provides 19 high quality effect types, derived from the technical innovation and research behind Korg’s Digital Recorders, TRITON synthesizers, and effects processors. The Polysix programmable six-voice polyphonic analog synthesizer was introduced in 1981. With a surprisingly full-sounding voice structure, chorus/phase/ensemble effects and performance functions such as chord memory, arpeggiator, and unison the Polysix became a world-wide hit. Its distinctive string and pad sounds are often heard to this day. 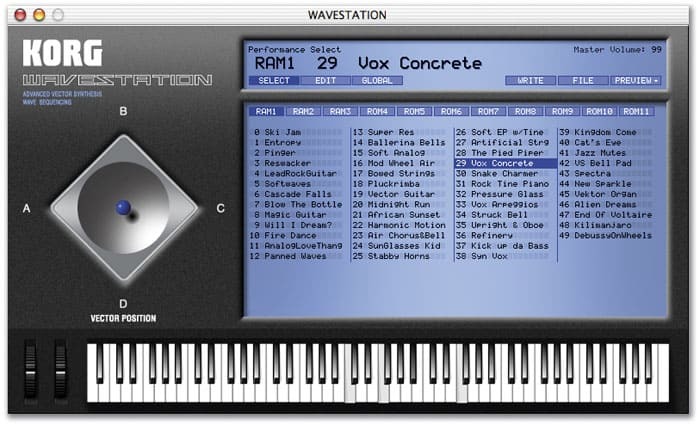 The WAVESTATION software synthesizer provides all 484 waveforms and 55 effects found on the WAVESTATION series (including the WAVESTATION-SR! ), with 32 digital oscillators, 32 digital filters, 64 envelope generators, and 64 LFOs that allow letter-perfect replication of the three- dimensional WAVESTATION sound, famed for its time-varying timbral change. The Mono/Poly is Korg’s four-VCO monophonic/polyphonic synthesizer that went on sale in 1981 and was considered the culmination of Korg’s experience building analog synthesizers. It was released at the same time as the Polysix, and because of their capabilities as well as their price, these two instruments caused a revolution in the synthesizer world. 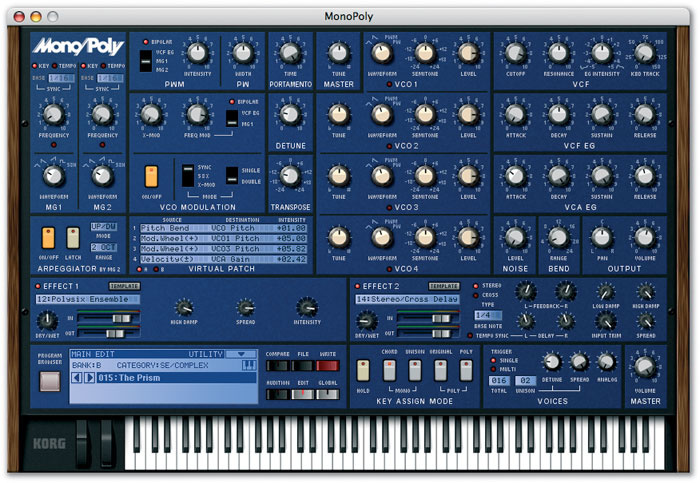 Many musicians acclaimed the Mono/Poly as Korg’s best synthesizer yet, with a number of unique characteristics. 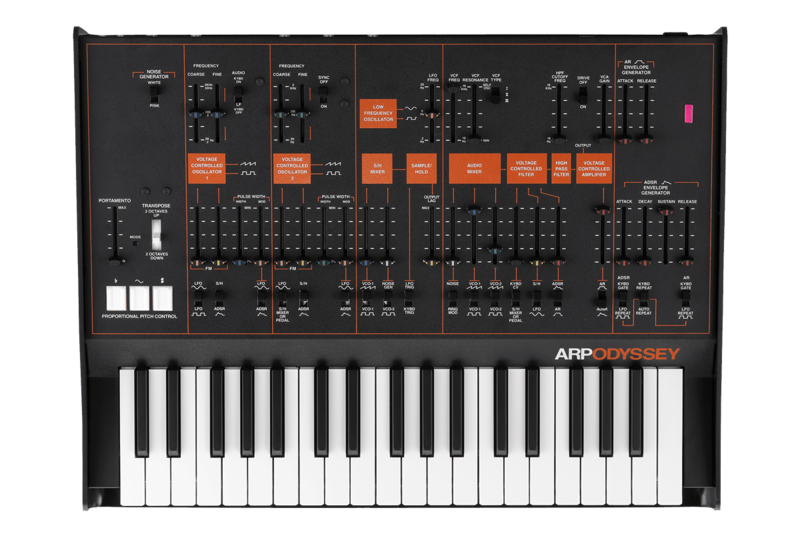 Originally part of the first Korg Legacy Collection and later the Korg Legacy Collection: Analog Edition 2007; the MS-20 is now available individually. As the original manufacturer, Korg is uniquely qualified to recreate our vintage analog synthesizers as software instruments. Korg’s proprietary Component Modeling Technology (CMT) recreates the original circuit path and analog signal flow, to provide results that are completely faithful to the original hardware. 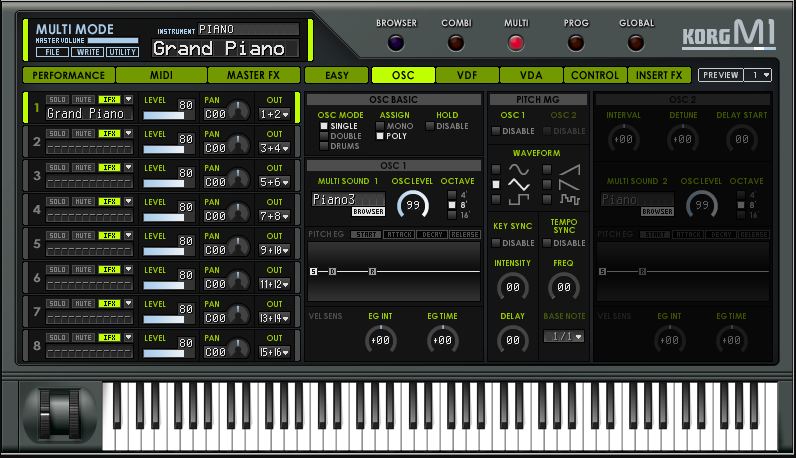 The MS-20 is designed to run as a stand-alone program; or as a VST, AU or RTAS Plug-in, making it compatible with nearly any DAW software studio package. Introduced back in 1988, the M1’s popularity steadily grew to exceed an amazing 100,000 users. As the first workstation synthesizer, it was a definitive element in the sound of the late ‘80s through early ‘90s. Along with its innovative "workstation" concept, the M1's "AI" (Advanced Integrated) synthesis system used PCM waveforms and digital effects to deliver fully complete program and combination sounds. Forty years later, a complete revival. The legendary analog synthesizer that transformed its age. AudioGate 4 now includes the ability to create high-resolution audio recordings. 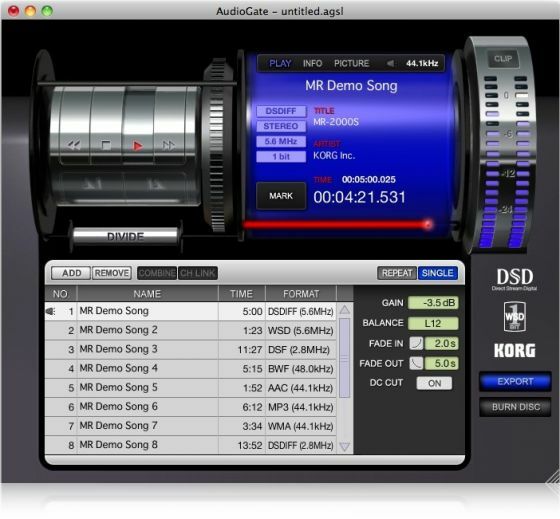 Simply install AudioGate 4 on your PC, and then connect it to the KORG DS-DAC-10R using a single USB cable. The DS-DAC-10R supports the 5.6 MHz and 2.8 MHz DSD format—for playback and recording—as well as PCM formats up to 192 kHz/24-bit. What had been the foremost high-resolution audio playback system has evolved to provide the effective system for creating high-resolution audio recordings.